Luxemburg data protection commissioner has found that Microsoft and Skype have not broken any European privacy laws when they sent customer data back to the United States. The decision of the National Commission for Data Protection claimed that the data transfer was indeed a legal move. 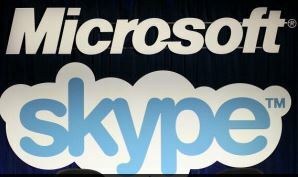 Their findings is that Microsoft and Skype transferred the data under the Safe Harbor agreement. Needless to say, the activist group Europe v Facebook is not happy and wants to understand the commissioner’s reasoning despite reassurances that the NSA did not receive access. At this point all Europe v Facebook has is rumor and suspicions that Microsoft and Skype have been actively cooperating with the NSA. However, it isn’t stopping them from appealing a similar decision in Ireland. “It was always clear that the NSA does not get data directly from Luxembourg. But it is not clear whether the CNPD believes that PRISM does not exist in the U.S., or if it feels that press releases by Microsoft are more credible than the revelations by Snowden. I’m not sure what these activists expected, without any proof. Folks, leaked documents in newspapers is not legally strong proof that can be used in court. It is unfortunate, but true.